What is the KT&C Authorized Reseller Logo? • When you see this logo you can shop confidently with this reseller. The number listed is the reseller number KT&C has issued to that company and/or website. Each Authorized KT&C Reseller will have a number listed. Also, we encourage you to check www.ktncusa.com/Authorized Resellers to confirm that the number you see on a site is an actively authorized number. What is the benefit of buying from a KT&C Authorized Reseller? • Reputable companies: We only work with reputable distributors. When you see the KT&C Authorized Reseller Logo you can know that the company you are buying from is credible. • Protect Your Purchase: You want to be sure that the products you purchase are are covered under warranty. You want to be sure that if you have questions you can get answers. You want to be sure that if a problem does occur that you can get the help you need. When you buy KT&C products from one of our Authorized Resellers we are standing behind the KT&C brand name. • Protect Your Investment: You are buying security equipment for a reason. Make sure you are getting authentic high quality KT&C products. Lots of companies out there are full of promises but fail to deliver on them. KT&C products go through rigorous testing and are of the highest quality. Don’t be taken advantage of a company who would give you sub-par product. Can I buy from companies without this logo? • There are companies out there that do not have this logo. We can’t stop you from buying from non-authorized companies. 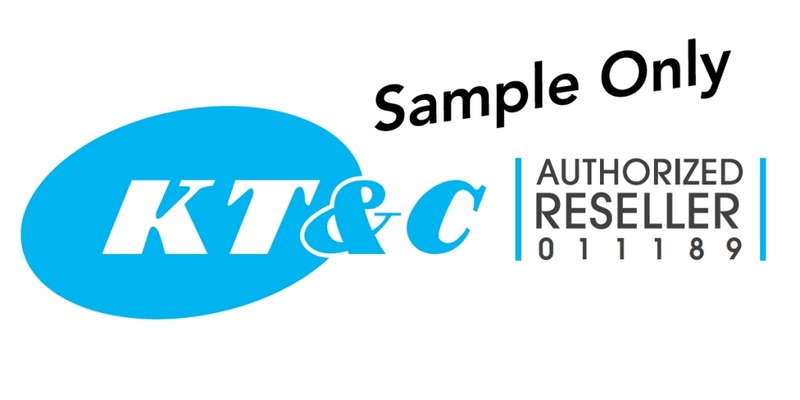 Our recommendation is to buy from companies that have the KT&C Authorized Reseller Logo. Companies with the KT&C Authorized Reseller Seal are authorized to buy our products directly. If you choose to buy from non-authorized companies we can not guarantee the product will be covered under warranty or that you will get authentic KT&C products. Can I buy directly from KT&C? • KT&C does not sell direct. What we can do though is help you find an Authorized KT&C Reseller. Please feel free to call one of our offices or send us an email. Please find the info below. How can I become a KT&C Authorized Reseller? • KT&C does not sell direct. If you are a distributor please contact us to discuss some options. Please find the info below. KT&C is not responsible for issues with transactions between companies with or without the logo. You must always use your judgment when buying from any type of reseller. Also, we encourage you to check www.ktncusa.com/Authorized Resellers to confirm that the number you see on a site is an actively authorized number. In the unlikely event that you have an issue with a KT&C Authorized Reseller please notify us immediately.